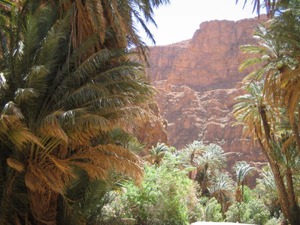 There are a number of fantastic excursions from Auberge Kasbah Chez Amaliya. The following is a brief description of some of the most popular excursions. Don't miss them! The Auberge Kasbah Chez Amaliya is situated at the beginning of a pedestrian path, making it an excellent starting point for several hikes in the Valley of Ameln. For those that enjoy solitary hikes, this is also a possibility! Do you want an Exclusive Guided Excursion? Ask our reception! 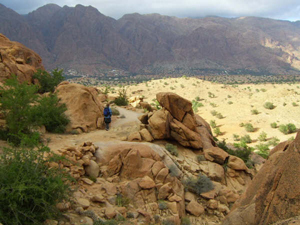 You will enjoy the beautiful views on your hike from Auberge Kasbah Chez Amaliya to Tafraoute up & across the granite range. It is very possible to see a herd of goats and some nomad tents on the way. 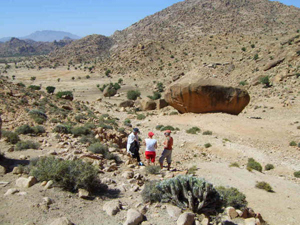 To reach Tafraoute takes two hours. 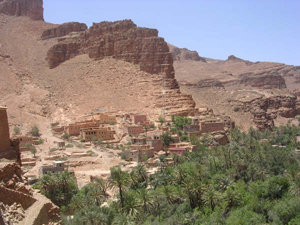 Tazzka is a village situated 2 km from Tafraoute where the houses are built around the rocks. Return from Tazzka across Aday to Ameln valley. 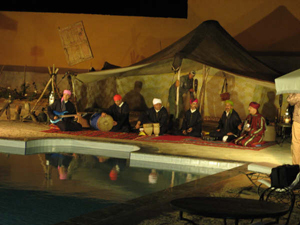 Aday is undoubtedly one of the most beautiful villages around Tafraoute. It therefore contributes significantly to his fame. Built at the foot of a rocky chaos with polished pink shapes by erosion, the village grabs typical houses, some threatening ruin, others were happily colored. This is the mosque with its purple hue that gives its stamp to the site. 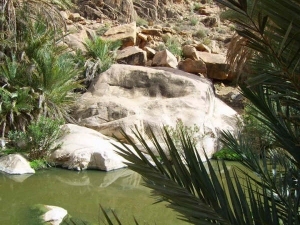 The spectacular and verdant gorges of Ait Mansour are located some 28 km to the south of Tafraoute, and as well as some impressive scenery, visitors here can enjoy some traditional Berber villages and hospitality.The hamlet in the bottom of a lush palm-filled gorge is really fascinating (and resembles Arizona). We will hike through the canyons and have a picnic for lunch. 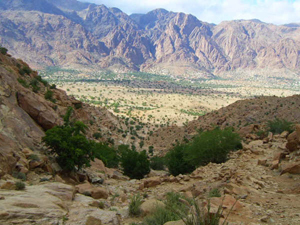 We will leave the hotel early in the morning to make a hike through Ameln Valley. 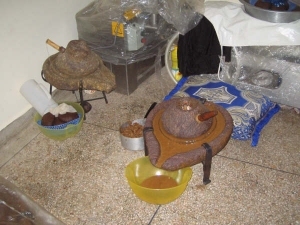 In Asguine we take a look at Massoud’s work. Mister Massoud divides the valuable water destined for agriculture and washing among the inhabitants. Outside, next to the water basin he will explain and show you how this works. After our visit to Massoud we will walk to Anameur and visit the spring. We will have a picnic there. Return from Anameur walking through the valley back to Ameln. 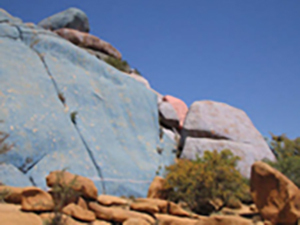 During this excursion you will be in the heart of the Ameln Valley. 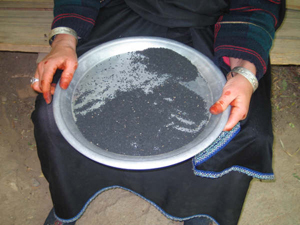 Discover how the Berber people lived here in the last centuries. Enjoy the serene beauty of the valley.